Japan is a country that surprised me in so many ways, especially with how traditions are maintained alongside an incredibly modern life. From the bright lights of bustling Tokyo to the charming narrow streets of historic Takayama, the Land of the Rising Sun is full of contrasts, and that’s what makes it such an intriguing destination. My latest journey to Japan took me from Tokyo to Nagano, home of the famous snow monkeys—curious little creatures who reside in the mountains and enjoy a dip in the hot springs during the day. The half-hour walk through the mountains was a highlight in itself, with thick snow lining the footpath and sprinkled through the trees. Nestled in the mountains, the small town of Takayama provides an authentic slice of Japanese history, with its old wooden houses and traditional handicrafts. Located nearby, Shirakawa-go is one of the favourite places that I visited, a village of traditional thatched roof farmhouses that resemble gingerbread houses, the only examples of their kind in Japan. Kyoto is a great place for shopping, and not just for clothing either! There’s plenty of variety, including gorgeous little arcades and various markets where you can purchase goods such as beautiful hand-crafted kitchen knives and copper pans. As a whole, Kyoto provides a great example of Japan’s “old meets new” phenomenon, with temples and high rises both sharing a landscape. Visiting Hiroshima was a sobering experience, but at the same time it was amazing how the city has grown into a place of serenity with pretty gardens and a peace memorial. I would really encourage travellers to visit the city, once flattened by an atomic bomb—it’s really interesting to see how much it has been rebuilt. So when’s the best time to go? Travelling in autumn means that you avoid the heat of summer, plus the autumn colours are spectacular. I experienced Japan in winter which was actually incredibly beautiful, as many places were still dusted with snow. Springtime is when the country really comes alive with the gorgeous blooming of the cherry blossoms. I was lucky enough to see the start of it in some areas and it really is as pretty as you think! Getting around Japan is an absolute delight with its clean and efficient high speed trains offering great facilities, even automated toilets with heated seats! They always depart on time (to the minute) and signs are in both English and Japanese to avoid any confusion. 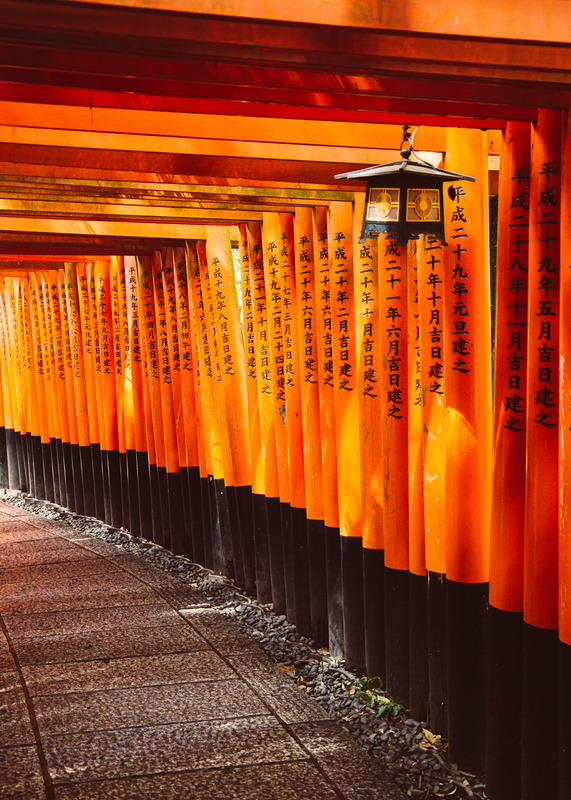 One thing you will quickly realise about Japan is how orderly and respectful everyone is, making it a very peaceful and stress-free country for tourists to travel through. 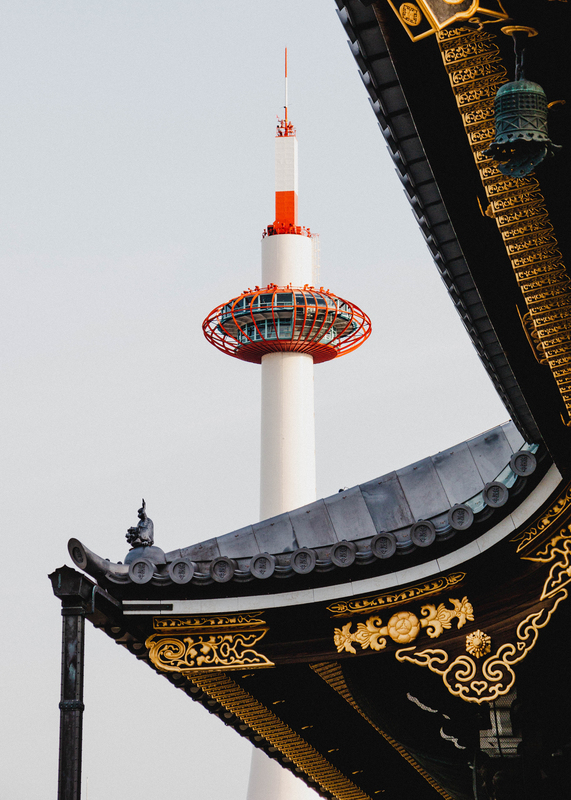 With its charming historic villages, bustling modern cities, world-class transportation, delicious food, and much more — Japan has become one of my favourite destinations and if you haven’t yet been, I think it could easily become one of yours.